Complete the TSGP or give the money back – Yeo Bee Hin, second from right at Saturday’s townhouse meeting. WIth her are Munirah Majilis, second left and Chan Foong Hin, left. KOTA KINABALU: The Energy, Technology, Science, Climate Change and Environment has two options as what to do with regards to the ‘suspended’ Trans-Sabah Gas Pipeline (TSGP). Minister Yeo Bee Yin said there has been no further decision regarding the operation of the TSGP project after the suspension notice was issued on July 3. 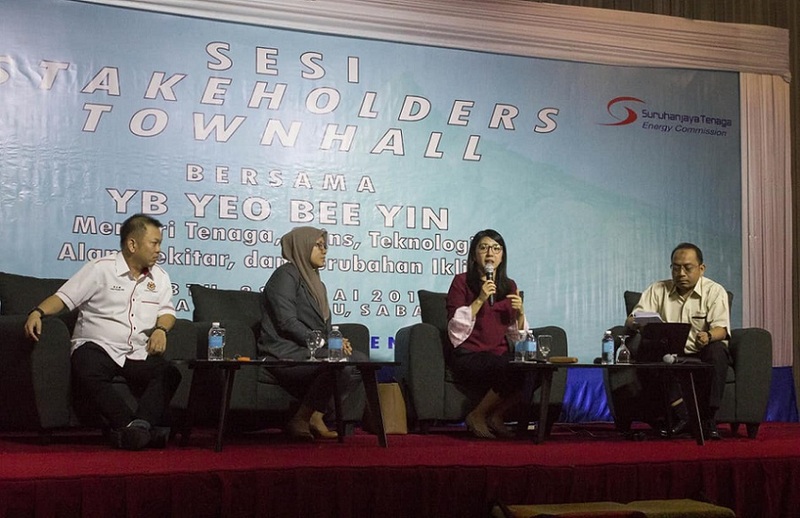 “What happened to the RM3.5 billion is still in discussion and there are two options, namely we get the project done or recover the money,” she told reporters after attending a stakeholder townhall session involving Sabah’s energy industry here Saturday. “I have no news update yet but when we do, we will announce it to the public,” she said of the project where RM3.5 billion was paid when the actual work had not been completed. Yeo said the Ministry of Finance had already taken action against the project developer that was wholly owned by MoF under the previous government, and the entire management had been replaced by another group appointed by the ministry. 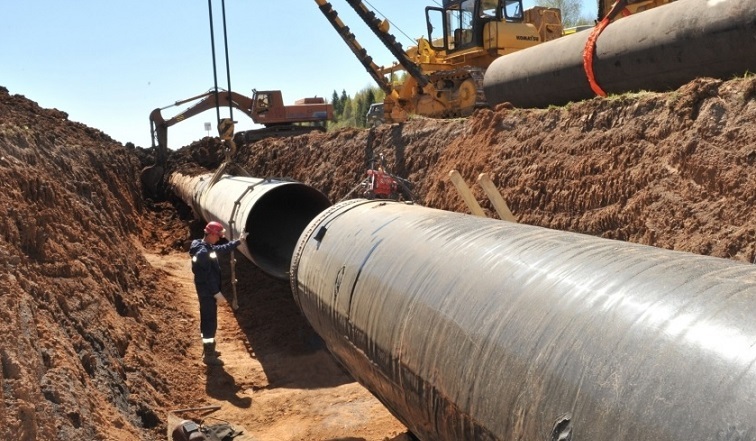 The TSGP was supposed to be a 662km gas pipeline construction from Kimanis Gas Terminal to Sandakan and Tawau. Without TSGP, she said, gas from the west coast could not be transferred to the east coast, which was among the factors leading to energy interruption in Sabah. Yeo Bee Yin and Chan Foong Hin called on the Sabah Chief Minister Shafie Apdal, right, on Friday. To reduce interruptions, plans are in place strengthen the network so that the additional electricity from the west coast can go to the east coast to supply the power needs of the east coast, while the search for other alternatives to increase the supply in the east coast goes on. The minister previously said that the federal government will spend RM840 million to conduct six electricity grid upgrading projects which will improve west coast-east coast network and reduce interruption. Yeo also said that the ministry is open to renewable energy sources and is studying a number of locations for hydro, biogas and biomass potential. Some 220 participants from government agencies as well as the private sector attended the session. Also present was Isnaraissah Munirah Majilis, the deputy Energy, Technology, Science, Climate Change and Environment Minister, Kota Kinabalu MP Chan Foong Hin, as well as State Health and People’s Well-being Minister Stephen Wong. On Friday, Yeo who is the youngest female minister in the country, paid a courtesy call on Sabah Chief Minister, Datuk Seri Panglima Haji Mohd Shafie Apdal at his office here.